We hope to encourage and inspire more students to choose a language course in their senior secondary years. 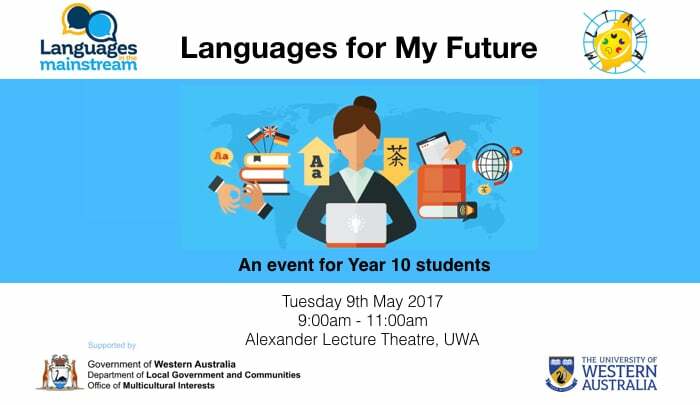 Through a panel discussion, young people will share their experiences of learning a language at senior secondary level and beyond into university and TAFE. The panel members will provide real-life examples of the highlights and challenges of their language learning journey, tips for success and an insight to the opportunities it has created. Year 11 Language course will be discussed. It is shaping up to be a really informative and inspirational event. More detailed information regarding the panel members will be available in the coming weeks. Registrations for this event are now closed. All places have been filled. This first part of this event was recorded and can accessed here.